The day began with me almost missing the train, but thank God I was there on time! First there were the Latte Art finals – every competitor has to present the judges photos of his/her designs and in 8 minutes to pour them – two identical espressi macchiato and two pairs of identical lattes. André Gabriel won the first place with 493.5 points. He was the only one using double shots of espresso, which earned him more points for contrast and in spite of that he finished on time! Now he’s going to the World Latte Art Championship in Melbourne, Australia! Milo Kamil is second with 467.5 points. Last year – third, this year – second, what about next year? We’ll see, I hope he’ll compete again. And Philippe Gobat from Neuchâtel on third place with 414 points! Congratulations! 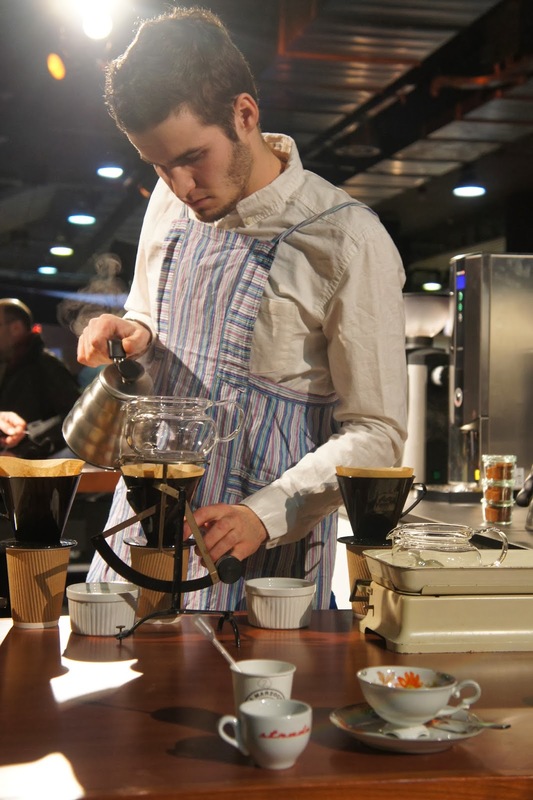 Then the Barista finals – we saw some fantastic shows, all competitors did amazing! Four espressi, four cappuccini and four signature drinks, which again should be espresso based. 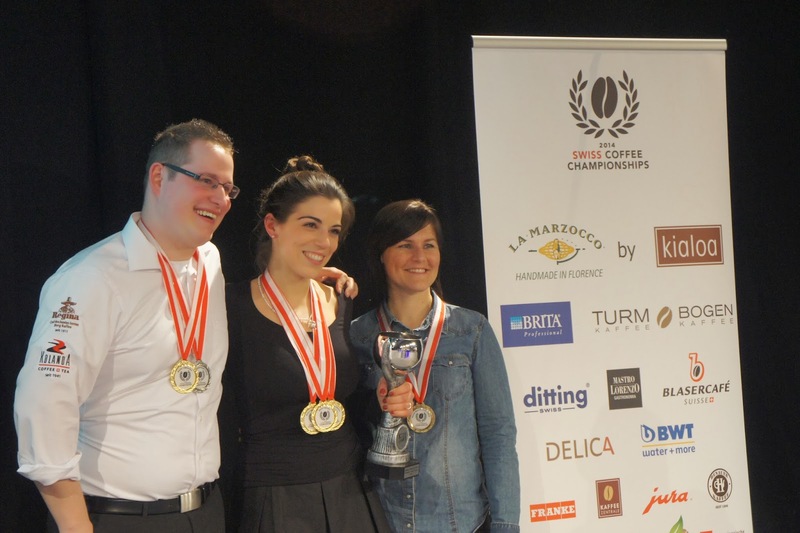 Nina Rimpl is the new Barista Champion of Switzerland with 604 points! She also got the gold for best espresso and best signature drink, which by the way is damn interesting – with elderflower and pomegranate. On second place is Michel Aeschbacher with 595.5 points and the medal for best cappuccino, and Janine Landolt third with 573 points! 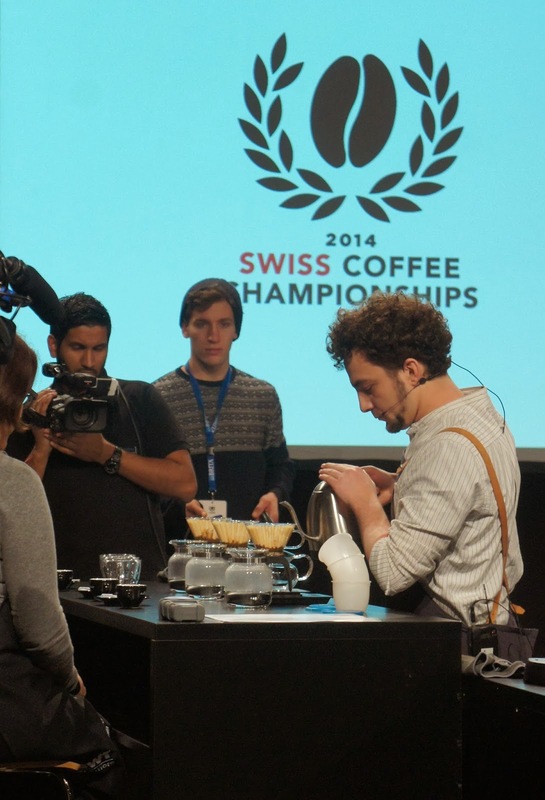 Nina will be representing Switzerland at the World Barista Championship in Rimini, Italy this year in June. I’ll be there and I will definitely support her! I’m impressed by the baristas’ creativity, you really cannot imagine all the ideas they come up with for their signature drinks. At first I thought signature drinks were unnecessary for the competition, but now that I have seen what is it all about, I think there are some very interesting combinations and it’s a shame that they seem to be neglected. What happens with all those recipes after the competition? Not much I guess…that’s why I’m on a quest now, I’m trying to collect and maybe publish them. Brewers Cup finals! Benjamin Hohlmann is the new Brewer Champion with 85.42 points tightly followed with 81.90 points by his brother Felix Hohlmann! So cool, right? 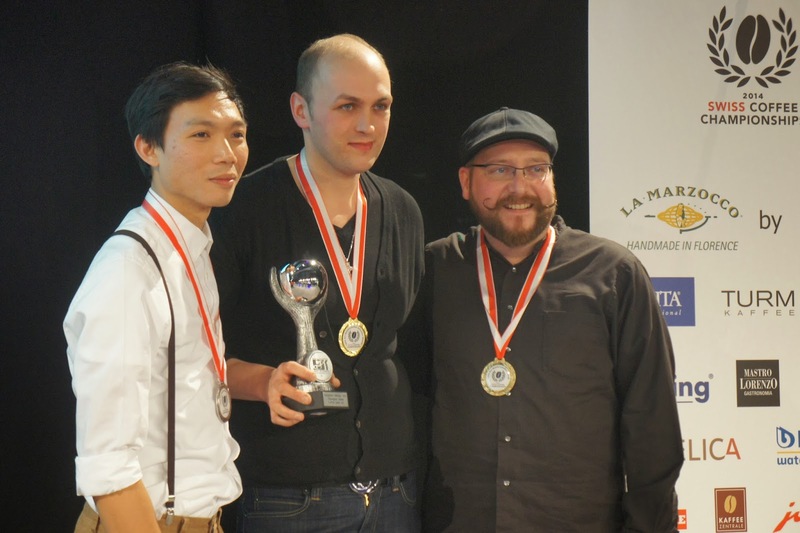 Third place went to last year’s Swiss Brewer Champion – Raymond Place with 78.51 points! These guys know their coffee very very well. And I’m amazed at how good they are at discerning all the aromas and flavors in the cup. Actually, most of the competitors at the Championships were with some mad skills in tasting. Hopefully, I’ll learn to do that too. And last but not least was the Cup Tasting Competition on which Mathias Bühler got the gold followed by Gonzalo Rosales de los Reyes second and Benjamin Hohlmann third place. Actually, Benjamin Hohlmann took part in every discipline of the Championships except Latte Art. He’s a real coffee geek, you should have seen his performances! Next time I go to Basel I’ll definitely have a chat with him. The whole weekend was crazy! I enjoyed every minute of it even though it was totally exhausting. I’ve had the chance have a chat with many incredible people all sharing the same passion for coffee. It’s funny though, because there were some individuals, who in my head are still with a celebrity status, and seeing them up close was very exciting, let alone having conversations with them. It was amazing. And not only that, but I was a part from all this, I wasn’t just a visitor. And for one thing I’m sure – I’ll also be competing one day.